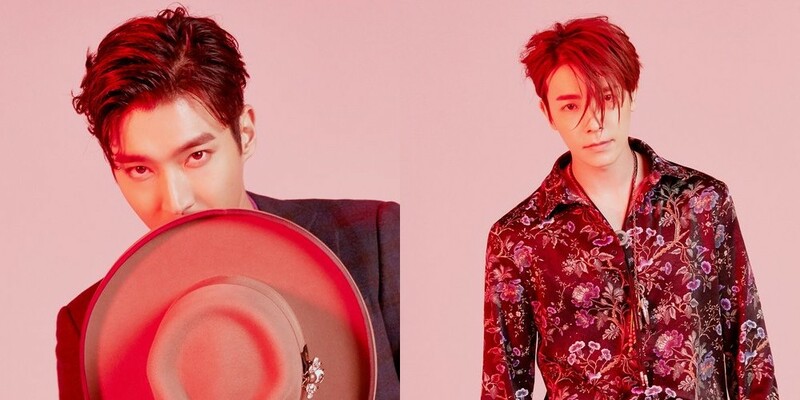 Super Junior has dropped individual teaser cuts for Siwon and Donghae. For their 8th repackage album 'REPLAY', the boys will be handling Latin pop song "Lo Siento". The two teaser images released for both members have a Latin vibe to them, complete with their intense gaze. Super Junior's repackage album will include new songs "Lo Siento", "Me & U", "Super Duper", and "Hug", as well as the 10 original songs from 'PLAY'. Super Junior will be coming back on April 12th at 6PM KST.